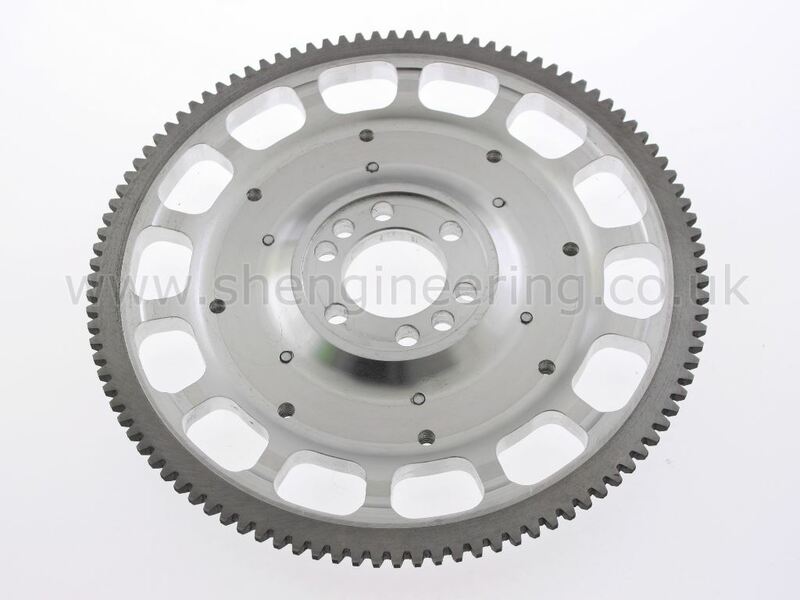 Just finished, is our new Aluminium flywheel to take a 5.5 inch race clutch. 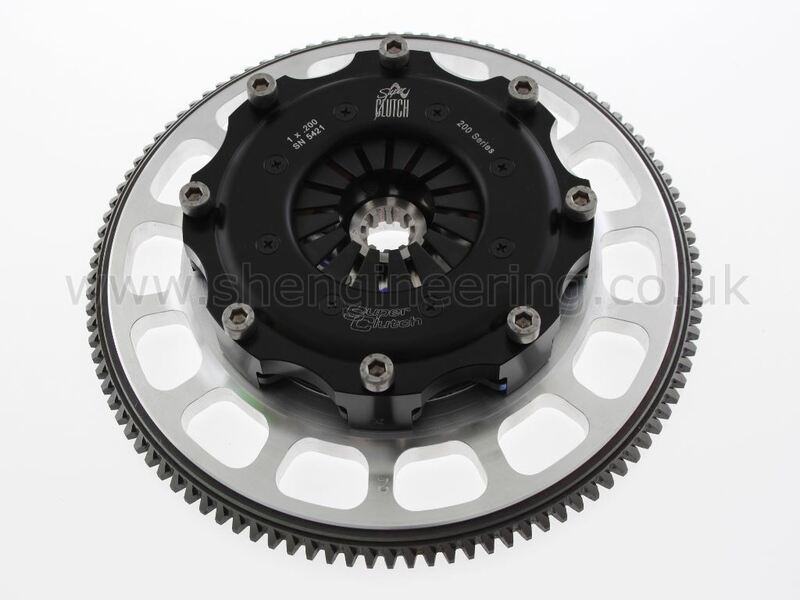 This super light, beautifully designed & machined flywheel is manufactured from Aero grade 7075 aluminium to be immensely strong whilst being as light as posssible. Combined weight of flywheel & clutch is only 4.2kg, plus most weight is concentrated towards the centre making throttle response extremely quick. As used by Mike Jordan on his Goodwood Revival race winning A40. 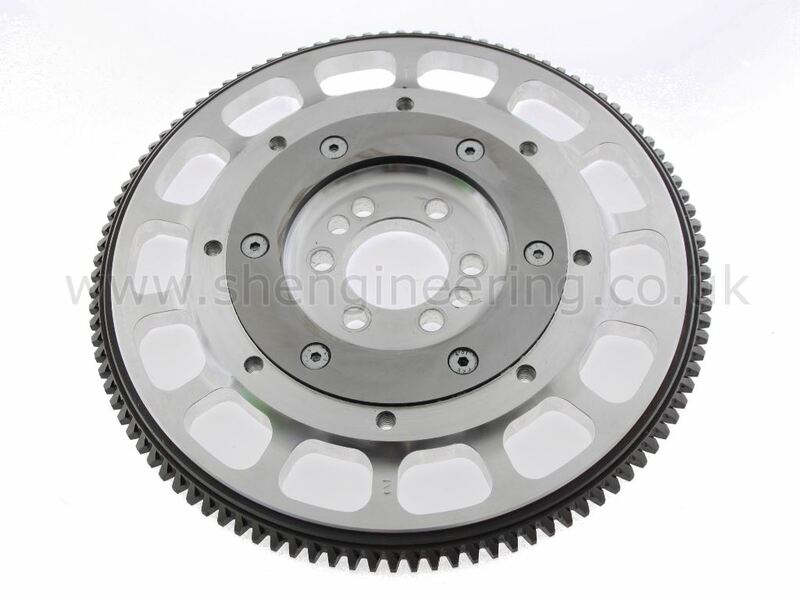 Complete with quality 'SuperClutch' 5.5 inch single plate clutch (specifically designed for this use) £1180. Will take 140lbs/ft torque. Due to retirement & close down of Superclutch we have now sourced the same clutches from their original supplier, so supply is continued.